If you haven’t done so already, then you should install a programmable thermostat. This will ensure that you are not running the air-conditioning or heat when nobody is home. You could turn on your HVAC system half an hour before your scheduled to get home from work and your home will be just the way you wanted. It’s also easy to set your temperature at a proper 68° when your home and drop it down to 55° at night. You’ll be amazed at how keeping your temperatures at those levels can have a major impact on your utility bills. Speaking of utility bills, do you turn off your computer monitor at the end of the day? Do you unplug phone chargers when they’re not in use? Those are the kinds of things that can be a drain on energy. Why pay for electricity that you’re not even using? Your refrigerator is always running as it should. But is it running efficiently? Take a look at the back of the refrigerator and wipe down those coils with a damp cloth or vacuum. This will help the refrigerator run as it should and not overwork itself. If you have kids in school, then you should definitely be working out a carpool with other parents. Not only will this save you on gas but it can also free up some time when it’s not your turn to pool. If you do any kind of gardening, then you should also be composting. This is essentially a container that will be filled with some dirt and all of your kitchen scraps. Into that mix goes some worms who feast on that material. What’s left over is prime fertilizer that you can use throughout the year. Very simple and very green. 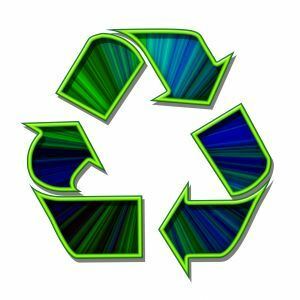 Although you make a great effort with your kitchen recyclables there are probably other things in your home that you want to get rid of that can be recycled as well. This is the perfect job for Junk King Orlando. They are part of a national chain of professional junk haulers who had been dedicated to a responsible way of getting rid of rubbish since their inception. You don’t have to figure out what could be recycled. The crews working for Junk King Orlando have been trained to spot and pull out those items. You can go green all the way with junk recycling thanks to Junk King Orlando. This entry was posted in Orlando Junk Removal and tagged green, junk king, recycle, waste on August 28, 2017 by Junk King. Last updated August 28, 2017 .